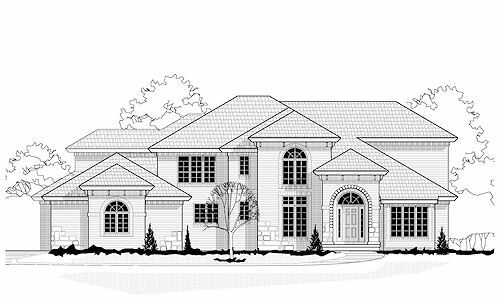 This European Home Blueprint features five bedrooms and seven bathrooms. 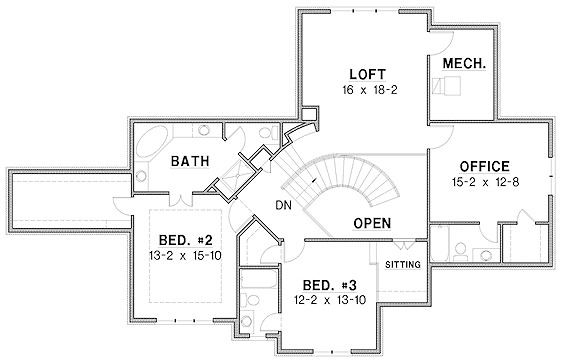 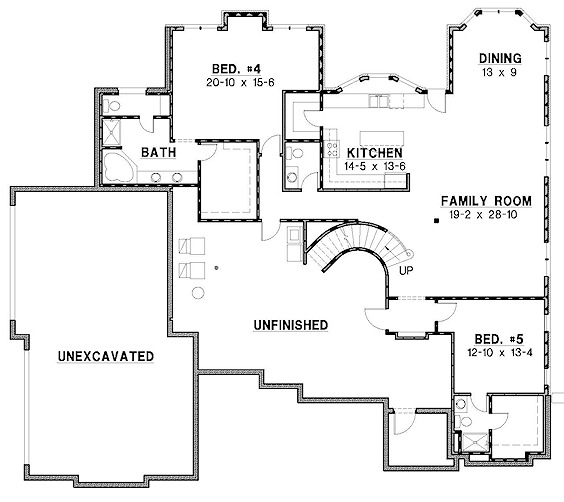 The overall surface is 6717 square feet, 2 story home design, and incl. 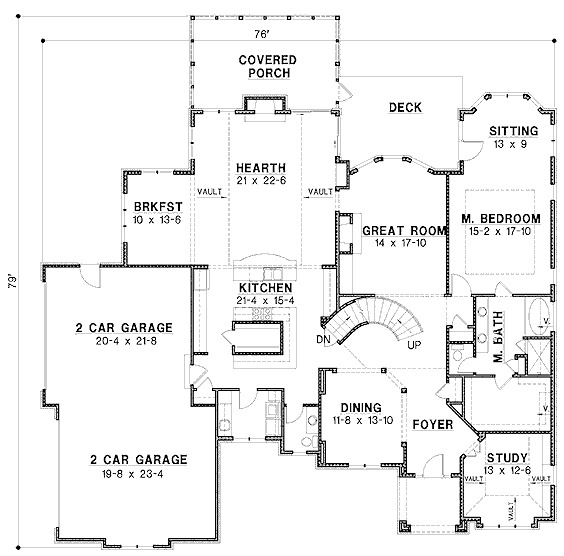 a 3 car garage.